An illustrious invitation is something to anticipate, to savor, and to remember. You Are Cordially Invited extends an engraved invitation to viewers, welcoming them as guests in masterpiece privately owned houses containing distinguished collections of artwork. Viewers will explore these extraordinary houses first-hand (no velvet ropes), as they enjoy the elements of elegant interior design and entertaining with the owners and experts. But viewers will not be visiting these rarefied houses alone. 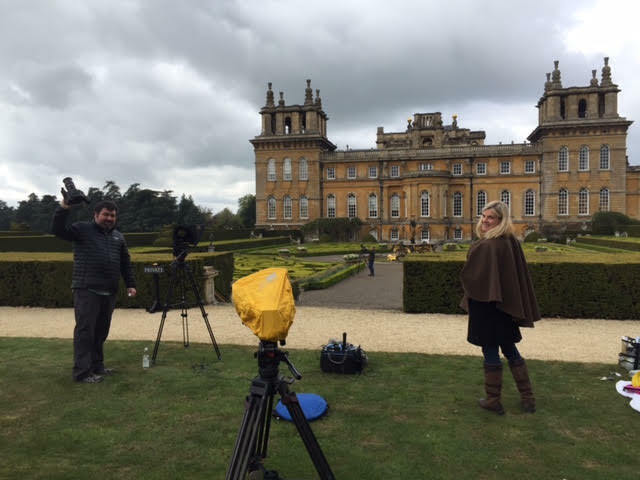 Host Holly Holden is sure to become a new friend as she colorfully illuminates the most interesting aspects of each house. Drawing on over twenty-five years of experience as a professional designer of classic, high-end interiors, Holly is superbly qualified to describe what makes rooms successful and inviting. Selecting examples within each house, Holly demonstrates fundamental aspects of classic interior design while sharing her personal secrets for creating rooms of distinction. Additionally, she will interview the owners of the houses to learn their secrets for elegant entertaining and the faux pas to avoid. Like a trip to the museum, the show endeavors to be a source of inspiration and education, transporting viewers to a world of stunning excellence and polite, dignified charm. 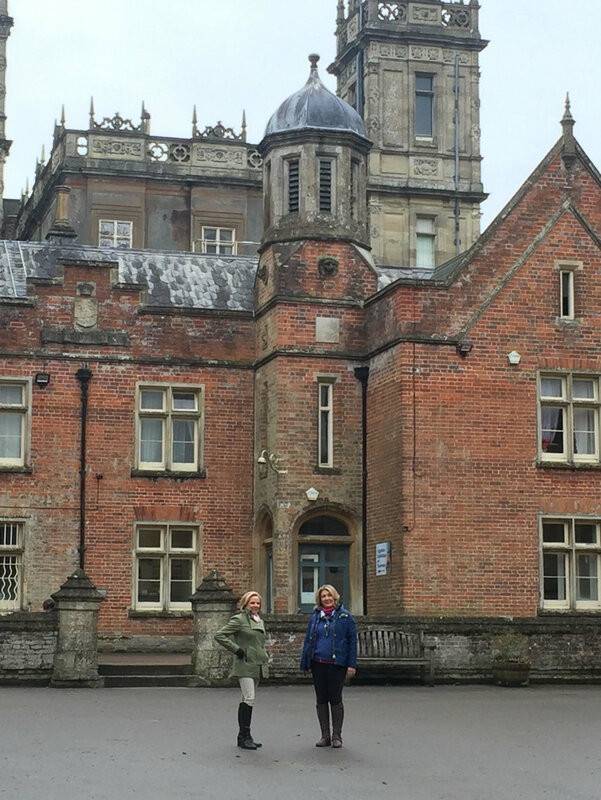 Holly is joined by her daughter, Alexandra Terhalle, Assistant Producer of the Highclere episode of You Are Cordially Invited. Highclere Castle is perhaps best known as the filming location of the television series Downton Abbey, though the castle is an architectural landmark in its own right. Highclere presides over more than 1,000 acres of manicured parkland designed by renowned landscape architect Capability Brown. Holly is joined by Lady Carnarvon, the Eighth Countess of Carnarvon, a best-selling author and a seasoned hostess. 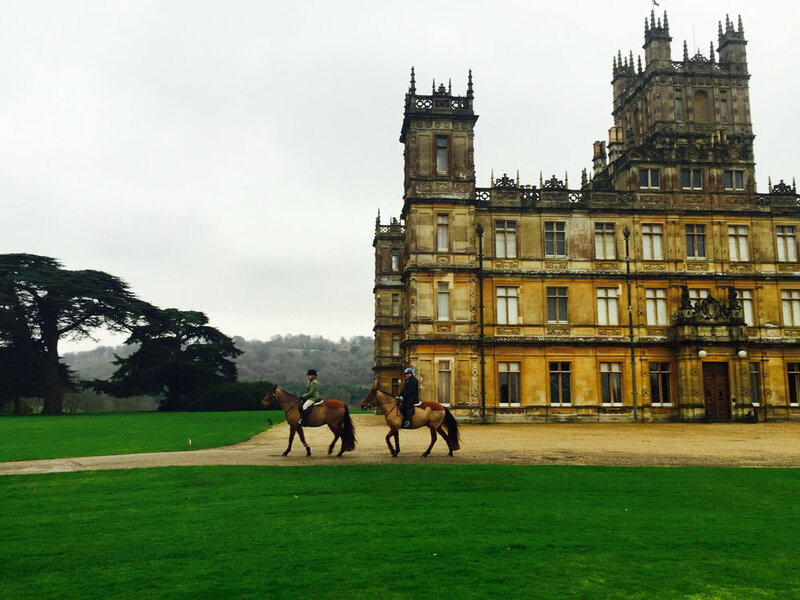 Holly and Lady Carnarvon explore the extensive grounds on horseback before returning to the castle for afternoon tea. This captivating episode focuses on the design of the castle and how it is used for entertaining. To view the Countess of Carnarvon's official website and to read her blog, click here. Blenheim Palace is one of England's largest houses. 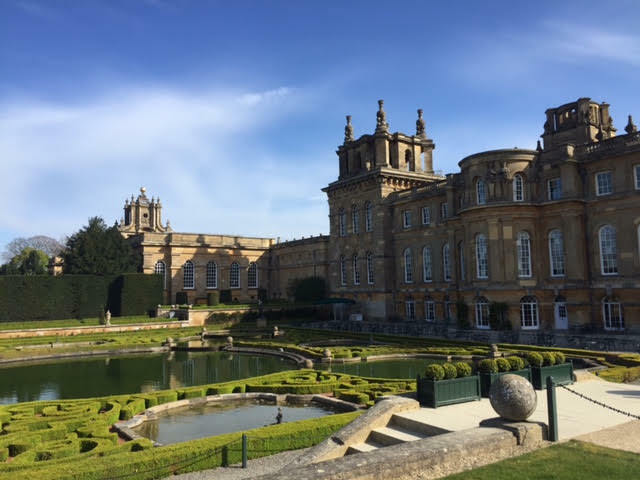 Built between 1705 and circa 1722, Blenheim Palace was designated a UNESCO World Heritage Site in 1987. Its private apartments have never before been shown on television. Blenheim was the birthplace of Winston Churchill. It is an important national monument in England and the home of the Twelfth Duke of Marlborough. Holly is joined by Lady Henrietta Spencer-Churchill, a world-renowned interior designer, the author of twelve interior design books, and the proprietor of two interior design shops. Lady Henrietta's father was the Eleventh Duke of Marlborough and she spent time living at Blenheim when she was a child. Holly and Lady Henrietta discuss how, despite Blenheim's massive size, its interior design makes it feel warm and inviting.